A Roman Temple in the Old Town! 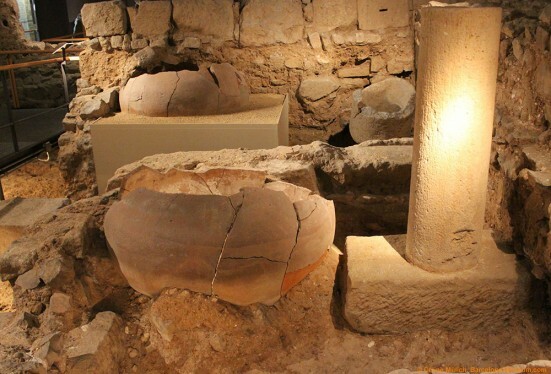 Hidden away in a small side-street behind the Cathedral de la Santa Creu i Santa Eulàlia, you will find the Temple of Augustus. Even most locals don’t know about this fascinating place! It’s hidden in a small alley called Carrer del Paradís, behind the walls of a residential building. 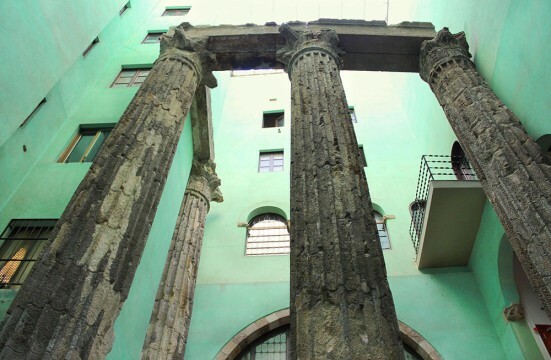 Inside of one of the courtyards, you are met by four columns that used to be part of an ancient Roman temple. It was built-in the 1st century B.C. in honour of Emperor Augustus. Over the centuries, the temple became continually less important, so the stones used to build the temple were re-used in other buildings – including these columns. Luckily, in 1904, the decision was made to publicly exhibit these columns. The result is a very unusual place where the ancient meets the present – after all, the neighbouring residents and their kitchens, televisions, and other entertainment make for a very unique auditory experience. 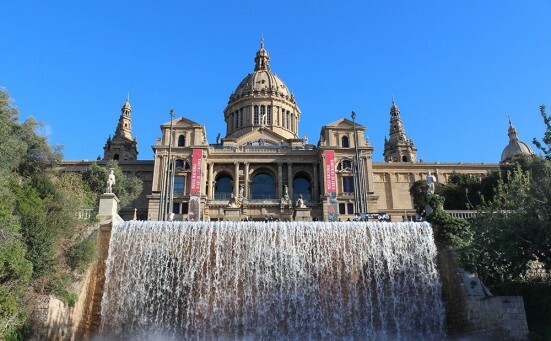 If you look up from Plaça d’Espanya towards Montjuïc, you will see this enormous palace – the MNAC. The building was erected in 1926 for the 1929 World’s Fair and hosts 1,000 years of Catalan-Spanish art. Which is precisely why it’s part of this article. There’s nowhere else in the world where you can find such a concentration of Catalan-Spanish art in one single building. Would you like to walk through a church inside of the museum? Yes? The section on medieval art – Romanesque art, to be precise – gets very special treatment here. Church frescoes were carefully deconstructed and then reconstructed in a dome-shaped architecture. It’s just like walking through a church. Of course you’ll also find renaissance, baroque and modern works here, including pieces by Ramon Casas, Joan Miró, Pablo Picasso, and Salvador Dalí. And the view from the MNAC steps out onto Plaça d’Espanya is nothing to sniff at, either. No, this is not a museum for children. This section is about Antoni Gaudí! 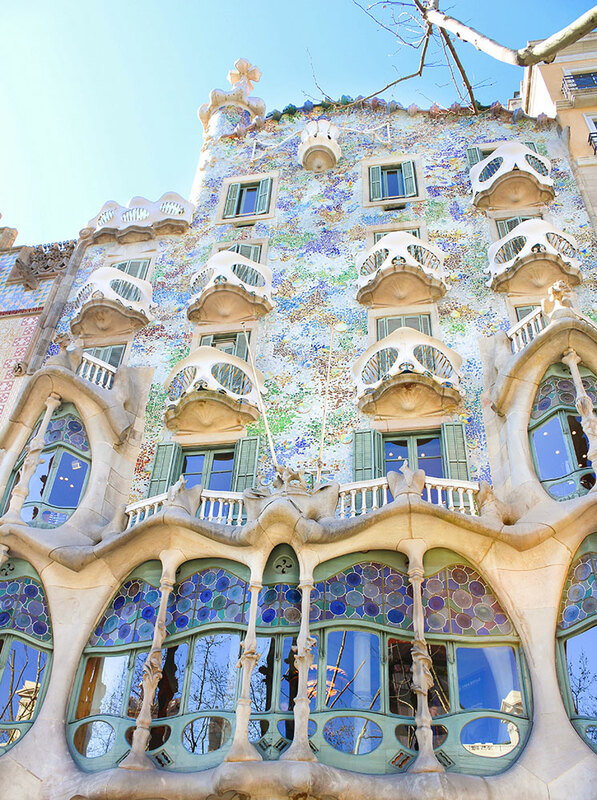 He influenced the Barcelona cityscape like no other, and Casa Batlló is the most exceptional of all his buildings. The building was created as early as 1877. But when Josef Batlló purchased it, he wanted to turn it into something else. So he contracted Gaudí in 1904 to convert it. And Gaudí went wild: the old façade was turned into an underwater world. Its wavy shape and the ceramic and glass mosaics appear to sparkle and glisten – just like a world under water would. The rooftop terrace got a “fantastic” treatment, too: The front part resembles the back of a dragon. And that dragon watches over the Casa Batlló. © Celine Mülich, 2013-2016|All rights reserved, Casa Batlló S.L. But wait! Catalan Modernism has more to offer than just architecture! Furniture, mirrors, lamps, glass works, sculptures, and paintings show all the uniqueness of the era. In the Museo del Modernismo del Barcelona, you will find wonderful examples, as listed above. But don’t get too excited: the furniture is, unfortunately, not for sale. 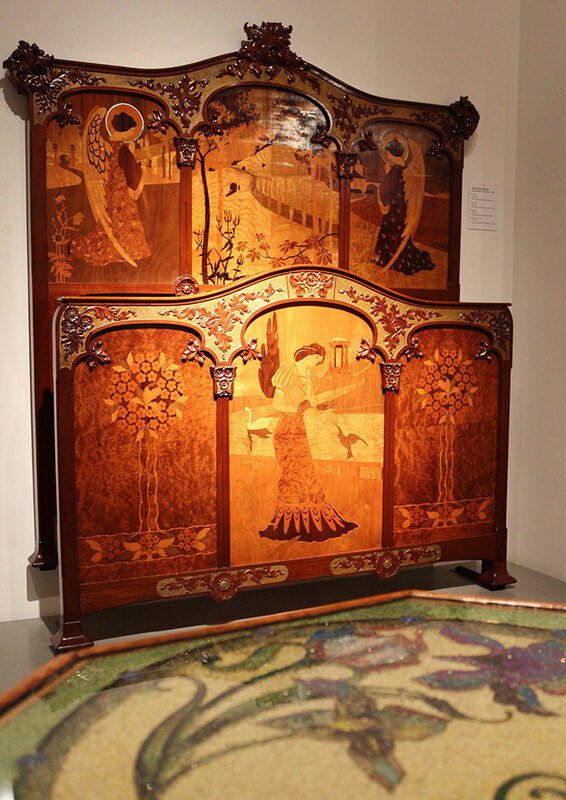 Still, feast yourself on the attention to detail: the furniture is decorated with snails, bats, and woman figurines. Most of the sculptures show beautiful portraits of women, and the paintings will entice you to experience what day-to-day life might have been like in those days. When you walk through the Raval district’s narrow side streets, you will eventually hear the skaters, skating and jumping about. When you do, you’ll be very close to the MACBA. At this point, you’re squarely in the here and now. Because Barcelona has more than just a grand history to investigate, it also always goes with the times, a fact that becomes very clear in this museum. The building is worth a visit in and of itself. 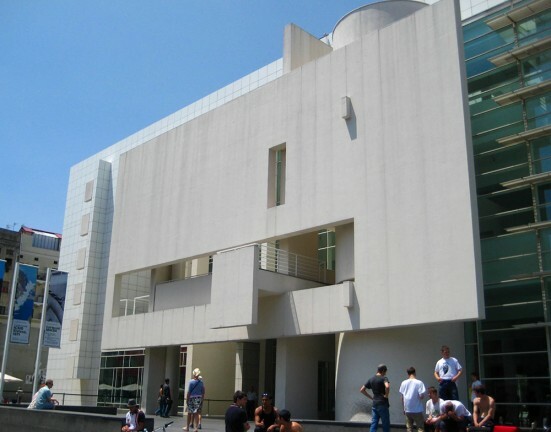 The North American architect Richard Meier designed this building, which stands in stark contrast to the surrounding Raval district. 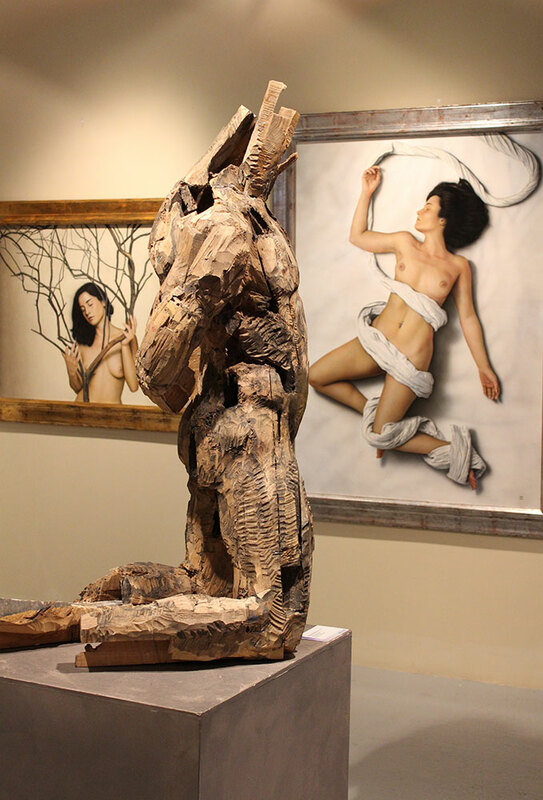 It has hosted regular exhibits featuring local and international artists since 1995. The exhibits are often political or socially critical in nature. The works themselves range from abstract paintings to film, photography, and performance art. And now, for something completely different: The Museu Europeu d’Art Modern (MEAM) is dedicated to figurative contemporary art. What does that mean, exactly? Well, you’ll find Catalan/Spanish and, on occasion, international artists who are known for their figurative art. Their paintings seem so real, you’ll be surprised to see that they aren’t actually photographs. The sculptures feel almost as if they were alive with emotions, and the drawings will absolutely fascinate you. This Barcelona museum opened in 2011 and has a very particular charm that’s quite easy to fall for: a museum of modern art inside of an old palace from the 18th century. Céline Mülich used to live in Frankfurt, Germany, before moving to Barcelona. She worked for two local museums, and eventually, she decided to make more of her passion. She developed the website Barcelona Museum (English and German). 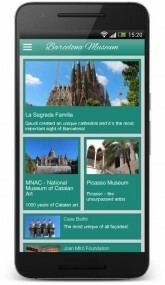 On her website, you can find information on all the museums and sights in Barcelona and get an idea of what to see before you visit the city. In February 2016, she launched a matching app, which gives you everything you need to make sure you don’t miss one of the many great museums, even when you’re on the road! The app is free and available for iOS and Android (in English).